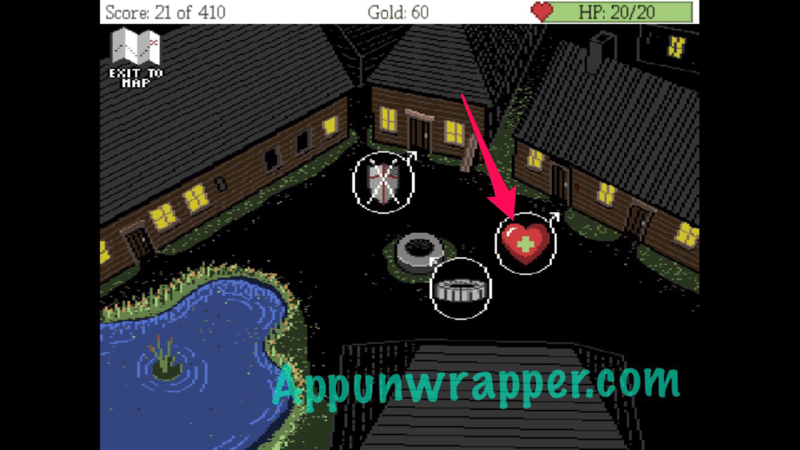 This is a complete step-by-step walkthrough guide with hints, help, tips, tricks, answers and solutions for the iOS and Android game Dark Fear by A Majothi (Arif Games). Feel free to ask for extra help in the comments section. See all the achievements here. 1. 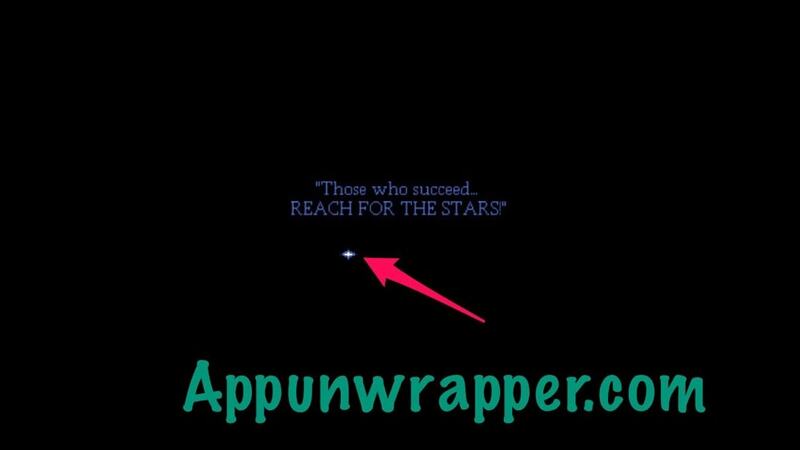 It says “Those who succeed… REACH FOR THE STARS.” You need to tap on the stars as they appear. Tap six of them and the word AWAKEN will spell out. 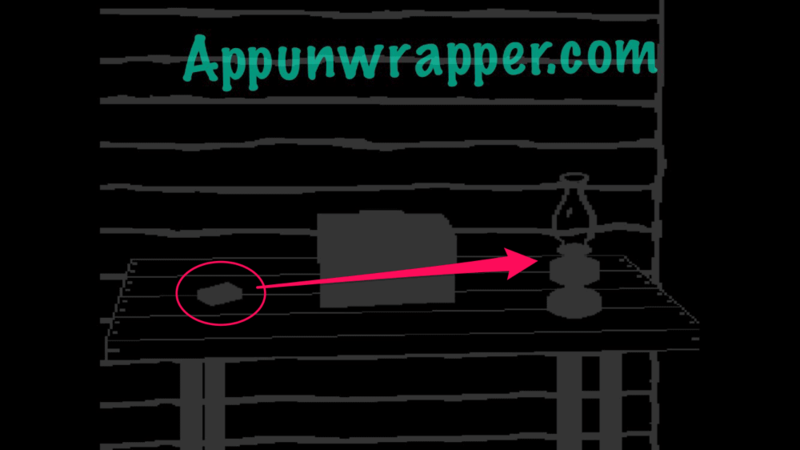 You then wake up in a dark cabin, but you can see some shapes in front of you. Take the box of matches and use it to light the lantern. 2. Turn and take the photo off the wall. Take the nail, too. 3. Turn and take the rope. 4. Go back to the table and use the nail to pick the lock on the locked box. Take the crowbar and needle from inside. 5. Use the the crowbar to open the jammed door. It will break, but you can now go outside. 6. Pick up the holy bucket (it has holes in it). 7. Tap on the man on the ground. He’ll give you his axe to fight a coyote. After you defeat the coyote, he’ll give you 10 coins. 8. 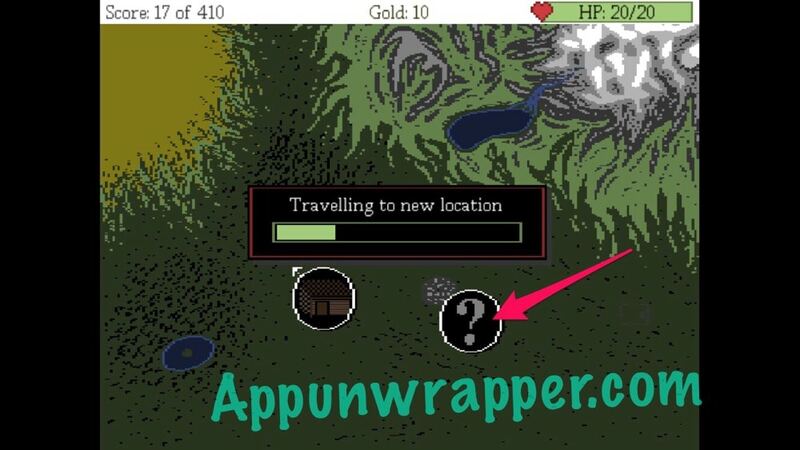 Tap the map in the upper left corner and go to the new location. 9. Tap on the well and tie the bucket to the rope. Send it down into the well and pull it back up to get a sack full of 20 coins. 10. Leave and tap on the blacksmith. Talk to him and find out his name is Olaf. He’ll tell you you’re in Ravenwood, the only safe place in Diablo Valley. Buy the Short Sword from him for 30 gold coins. 11. Go back to the map and head to Nightshade. There’s a pack of three wolves that attacks you. You should be able to take care of them with your new Short Sword, though. You’ll get 60 coins for defeating them. 12. Explore the forest to find this odd, ominous-looking tree. 13. Go back to Olaf the blacksmith. Tell him you got rid of the wolves in Nightshade and he tells you to talk to Seema next door for help getting rid of the tree demon. 14. Go to Seema. She tells you to get her berries from the belladonna plant in Nightshade so she can make you a potion. She gives you medicinal paper so you can pick them. 15. Go to Nightshade and pick the berries with the paper she gave you. Also, pick up the stick. Then take the berries back to Seema and she’ll make you a potion. She also gives you 10 coins and a health potion. Previous PostThe Room Three Review: There Are Rooms Everywhere! You said that we have to combine the stick with the metal plate but you didn’t mention WHERE we find the stick. It should have been earlier on. Let me make sure that part it is in there. Just checked. Should be at the bottom of the first page of the walkthrough. It’s easy to miss. Yes, you mentioned it in the Nightshade forrest. I circled it in step 41. Where to find the honey used to catch fireflies in the cave? You need a tattoo to prevent him from regenerating health. the map is in the bottle , you take a bottle and broken in the pit of the city store, when talk with the fisherman “man u sold the fish” i dont remember te name! Where did you get the black tar? It’s from the black puddle on the ground after you defeat the tree demon. 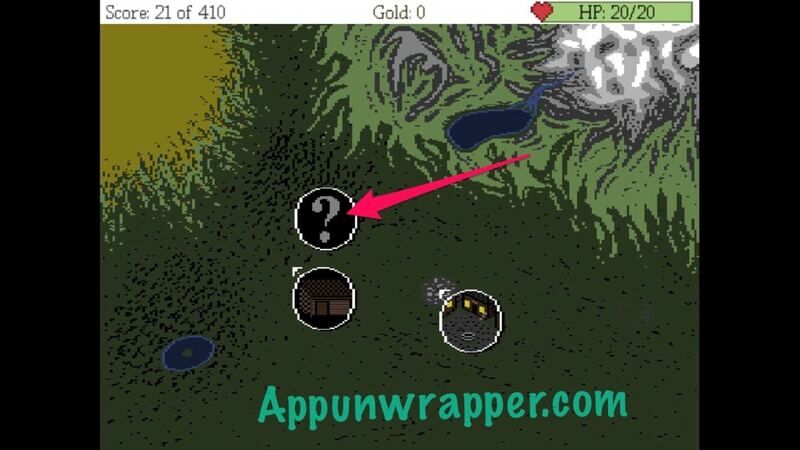 Where do i find the second piece of map? i cant see Where to find the honey used to catch fireflies in the cave? Ok! So I’m in a weird situation here… In step 46, you mention that there is forest demon with 950hp but the problem is that it nowhere to be found! And I have no recollection of ever fighting it (or maybe I did?) However I can tell you that I have 4 amulets at the time that I have to go to the mountain of ice or whatever it is. He’s not at the location where the arrow is pointing in my photo? I was stuck on the shovel part, how were supposed to know to use those parts to make a shovel. Thats kind mis leading. But thanks to your walkthrough I know what the heck to do now. If you read the description of the metal part, I believe it says it’s part of a shovel/spade. So then I knew there had to be a handle somewhere. The stick was easy to miss, though!